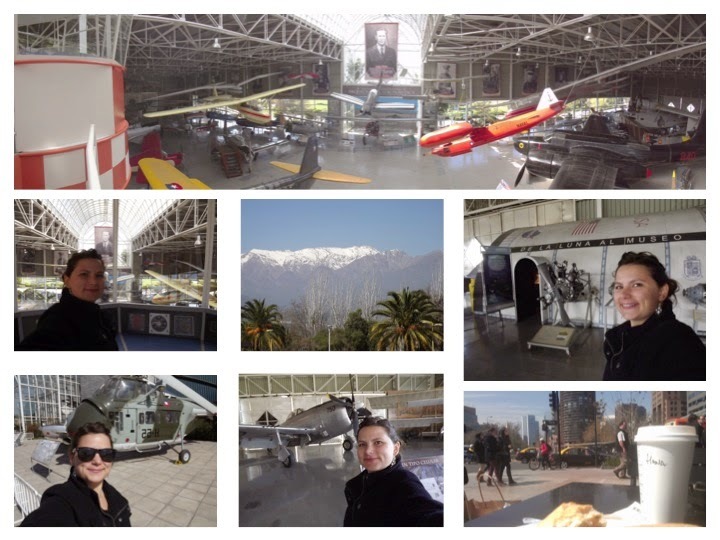 Having a look around Santiago on the first day out. It was raining quite a bit but I manged to find my way into town and back. Looking down the mountain to the control room; The southern stars shining above the domes. 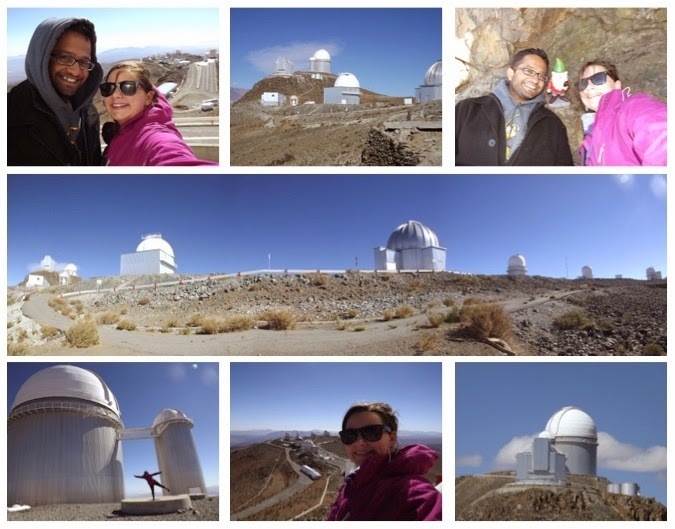 Over looking La Silla and all of the telescopes on the summit. We also managed to find a physics gnome on the way up. 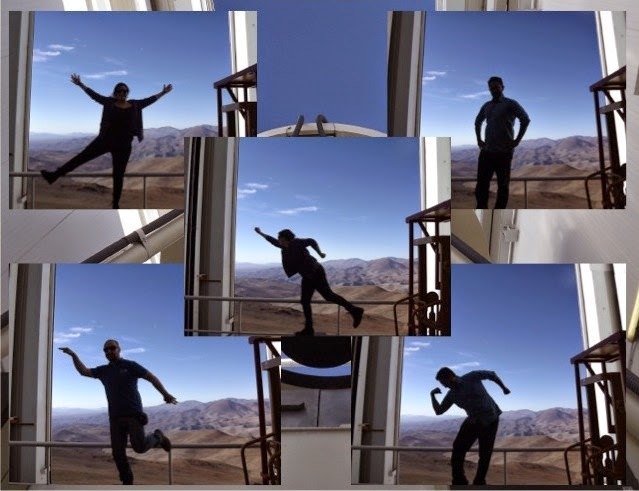 Our first night of observations at the NTT, While we were able to open up the dome and observe for the whole night the data may be a little difficult due to large fluctuations in the Earth's atmosphere which are more prominent at the wavelengths we are using. 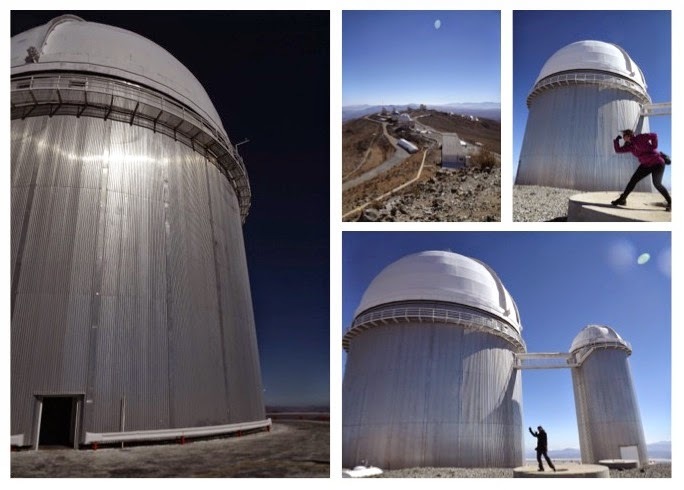 The wind has died down, the sky has cleared and observations are about to begin. Tonight we are monitoring a brown dwarf similar to Beta Pic to see if it is variable, followed by multi-wavelength observations of a faint brown dwarf until sunrise. 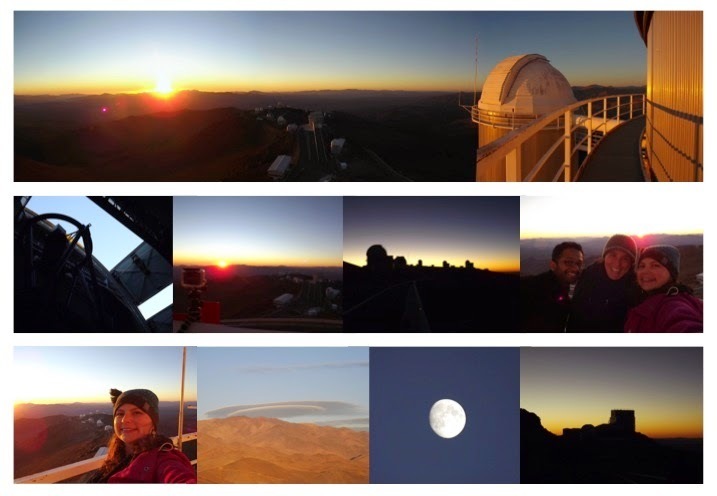 The second night of observing with NTT started with a trip up to the 3.6m telescope to open the dome and watch the sunset and get some pictures. 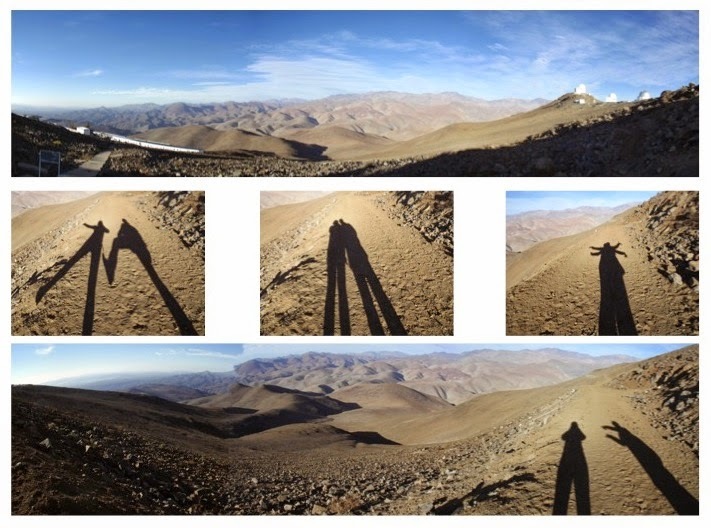 View from the walkway of the 3.6m telescope during sunset at the summit of La Silla. It is the 3rd night of observing with the NTT and the sky is covered in consistent thin cloud which is not necessarily a bad thing. Tonight I am running the show to get an idea of how everything works and gain some experience to run solo observing in the future. Today we got to take a trip up to the NTT to see the instruments and the opening of the dome. 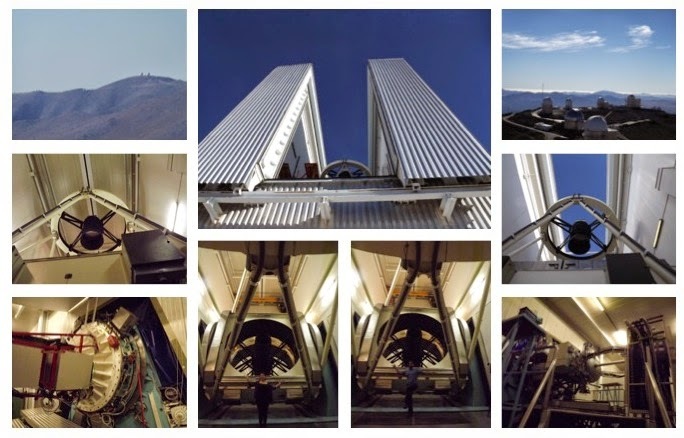 EFOSC instrument, astronomers under the NTT, SOFI instrument. 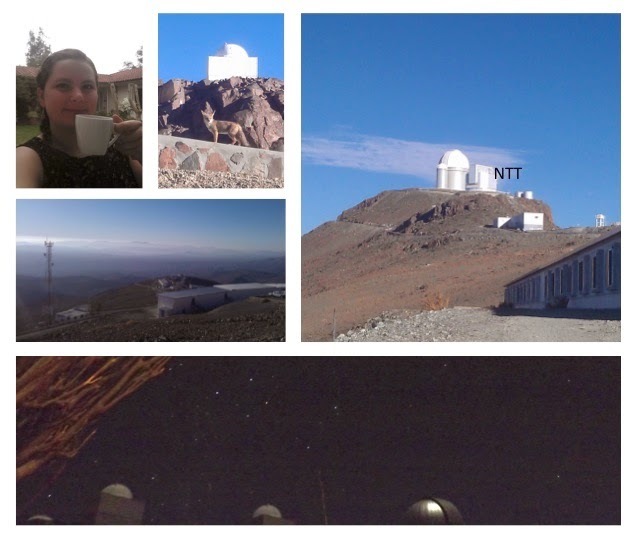 It is the last night of observing at the NTT and we have been getting some great data. Now all that is left to do is stay awake. The night merges into the day when you re-shift from night observing to the land of the living. 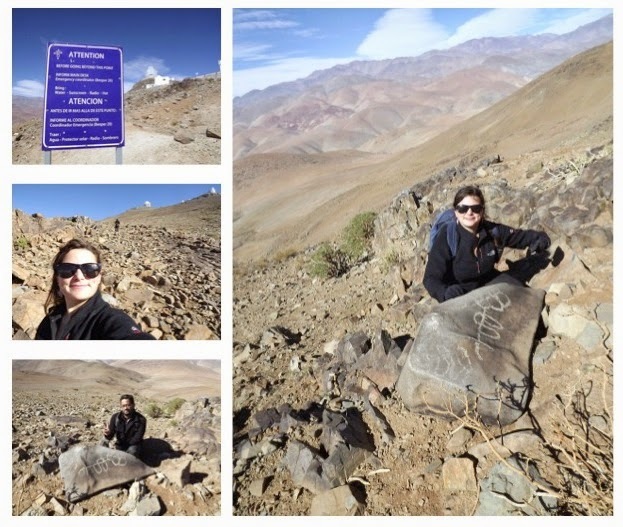 We took the afternoon to go in search of the famous La Silla Petroglyphs. This ancient petroglyph that we found does not appear to be on any "map" of the site. The view of our walk while searching for petroglyphs. The clouds make for a beautiful sunset but generally bad for observations. No green flash tonight. 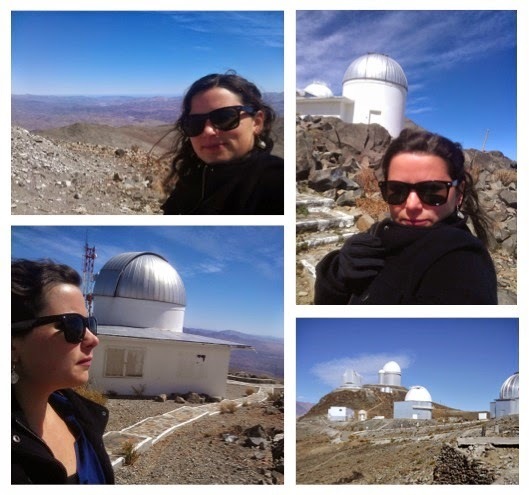 Las day at La Silla Observatory. It has been a great learning experience and at times a great adventure. Thanks to all who were here and made it a great observing run - including at times mother nature taking pity on us. 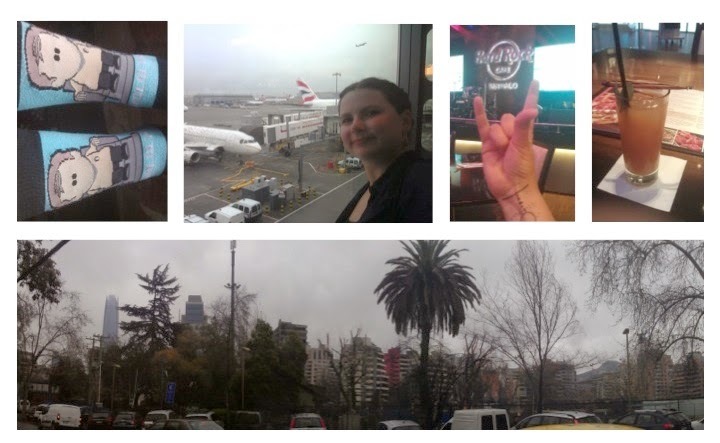 Last full day in Chile hanging around Santiago. I spent the morning at the National Air and Space Museum before heading back to the ESO Guesthouse for a dip in the pool. It has been a great trip and thanks to all those who contributed to it with their hospitality.